Dr. Nesochi discusses how much fiber you should eat on Reader’s Digest. Hint: You’re probably not eating enough. Fiber has a reputation for being a key part of a healthy diet. The American Heart Association Eating Plan recommends eating between 25 and 30 grams of fiber a day from food—not supplements. On average, most Americans are eating only half of that, per the University of California. 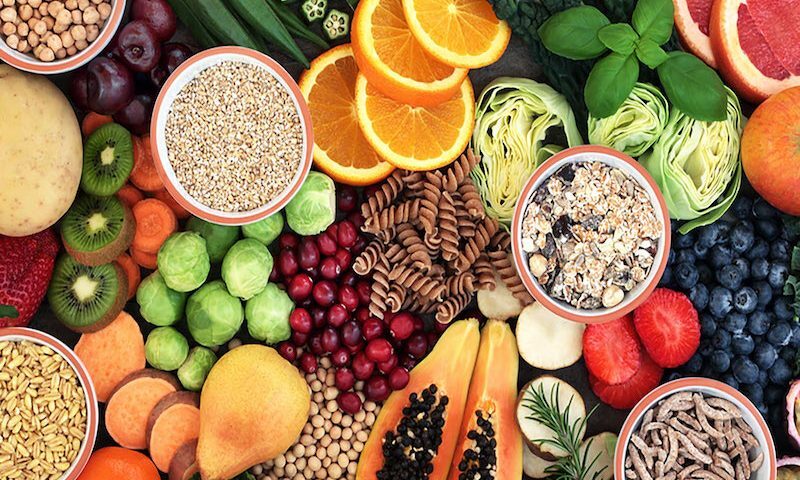 Although it’s safe to say most people could include more fiber in their diet, a research review shows there is an ideal amount for reaping health benefits. 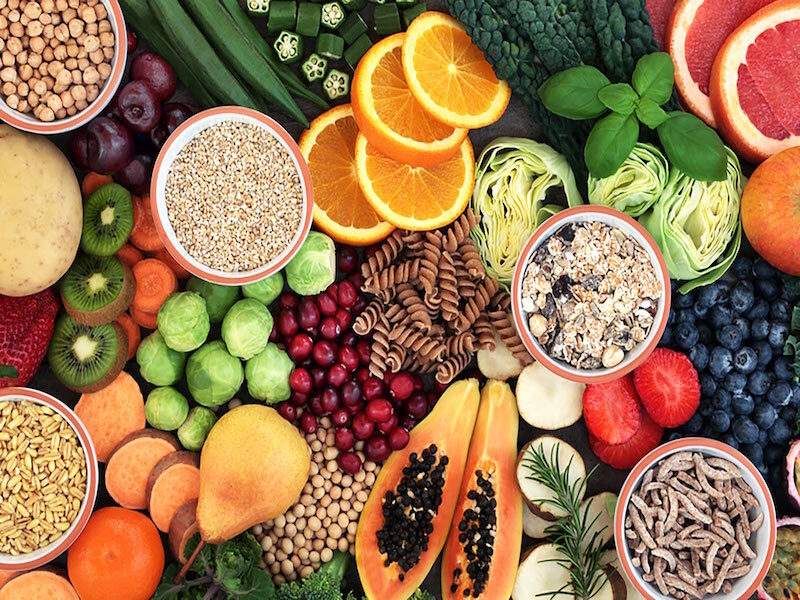 The World Health Organization (WHO) analyzed 40 years worth of research to help develop new dietary guidelines for fiber. The study, published in the journal The Lancet, also looks at which types of carbs ward off weight gain and protect against chronic diseases. The researchers looked at 185 studies and 58 clinical trials conducted over 40 years. They found 25 to 29 grams of fiber is ideal for health benefits. Here are 10 things that happen to your body when you start eating more fiber. The WHO research found that people eating the most fiber in their diet are 15 to 30 percent less likely to die prematurely from any cause in comparison to those consuming less fiber. Similarly, eating fiber-rich foods coincides with a 16-24 percent less chance of coronary heart disease, stroke, type 2 diabetes, and colon cancer. According to Nesochi Okeke-Igbokwe, MD, a physician and health expert, the research supports and reinforces what has already been known about fiber for so long in regards to its health properties. So while you should probably be eating more fiber, the next challenge for the public is finding ways to so, Dr. Okeke-Igokwe says. Not everyone is aware of the best options. First, it’s important to know that there are two main types of fiber—soluble and insoluble—and both are essential for your health. Soluble fiber is in foods like oat bran, barley, nuts, seeds, beans, lentils, and some fruits and vegetables and it helps slow digestion. Insoluble fiber is in foods such as wheat bran, vegetables, and whole grains and it helps food pass through your system more quickly. The more processing a food has, the less fiber it typically has, according to the Academy of Nutrition and Dietetics. For example, a medium apple with the peel has four and a half grams of fiber, but half a cup of apple sauce only has one and a half grams. It’s something to keep in mind to help reach your fiber goals. A person would have to eat five large apples, or two cups of peanuts, or three and a half cups of shredded coconut to hit the 25-gram mark. The Academy’s other suggestions for hitting your daily fiber intake include swapping refined grains or cereals for steel cut oats or swapping white rice for brown or whole grain options. You can also add to your diet as well as make substitutions. Some foods that are naturally high in fiber are pears with the skin on, fresh raspberries, avocado, almonds, black beans, and air-popped popcorn. Luckily, you can find fiber in other various food combinations, too. © Copyright 2016 - 2018 Dr. Nesochi. All Rights Reserved. Site by Skillful Antics.